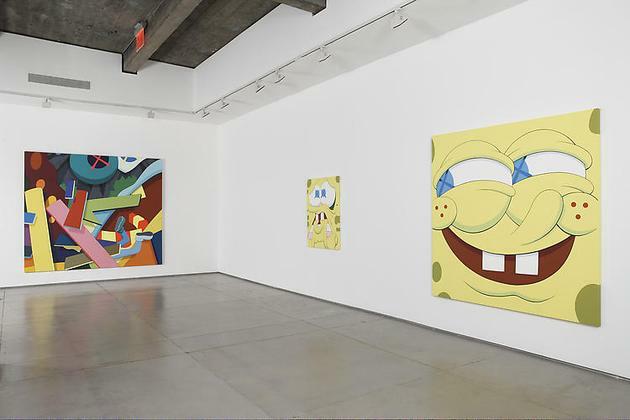 GERING & LóPEZ GALLERY is pleased to present the much anticipated solo exhibition of new work by Brooklyn-based artist KAWS. 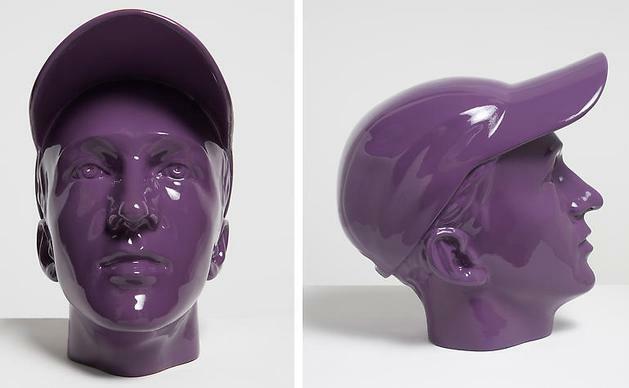 The artist sees his technique as a sieve of modern culture, filtering and re-contextualizing the images and information that he comes in contact with daily. 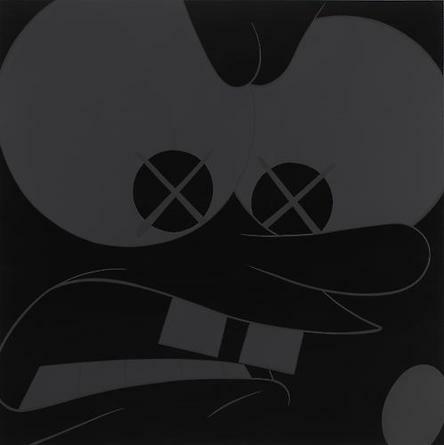 Beginning as a graffiti artist in the 1990s, KAWS took an interventionist approach to the imagery on billboards and bus shelter advertisements, interweaving his own graphics. 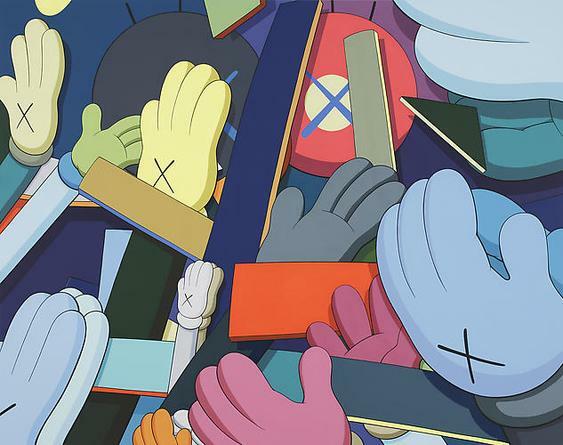 KAWS now uses the worldwide popularity of his familiar brand-like symbols to explore other methods of integrating his iconography into the global consumer culture. 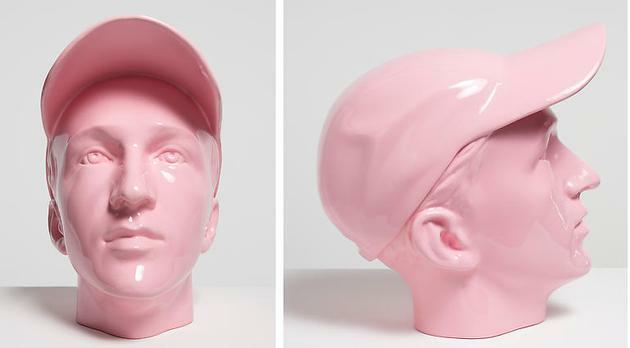 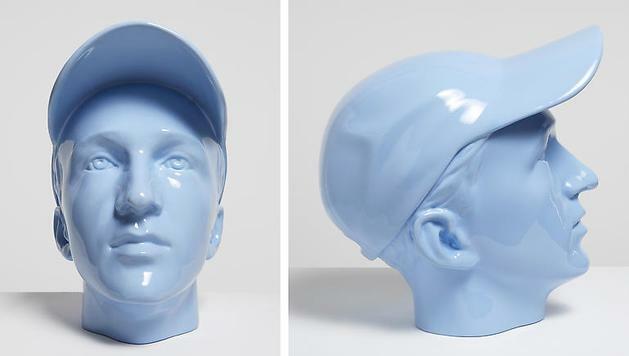 This exhibition features the artist's most recent paintings and sculpture. 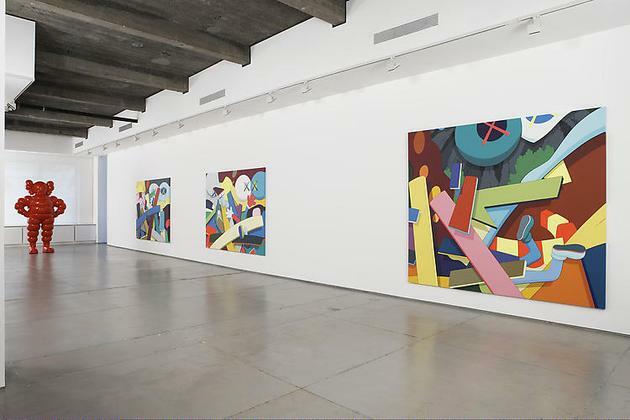 Large-scale acrylic works on canvas incorporate his usual cast of characters set against abstract, chaotic scenes of geometric shapes. 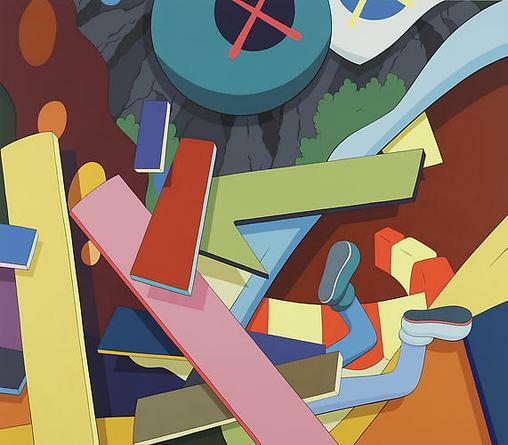 In this series, the subject is displaced and the focus is drawn to the bold coloration of the elements. 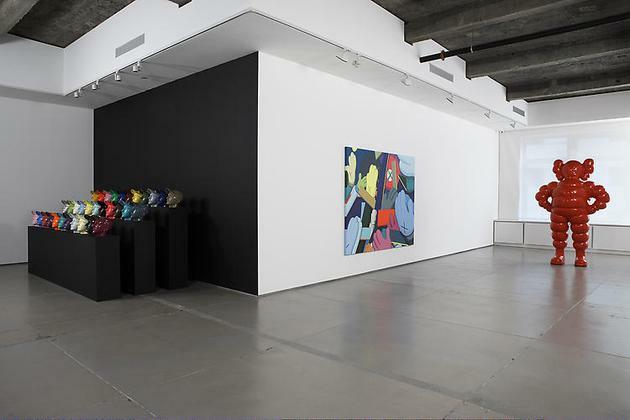 In another group of monochromatic paintings, line work and treatment of the surface texture obscure the compositional focus leaving only the presence of the characters' emotive expressions in abstraction. 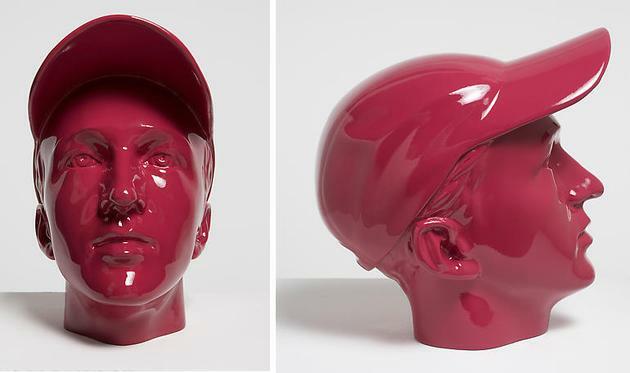 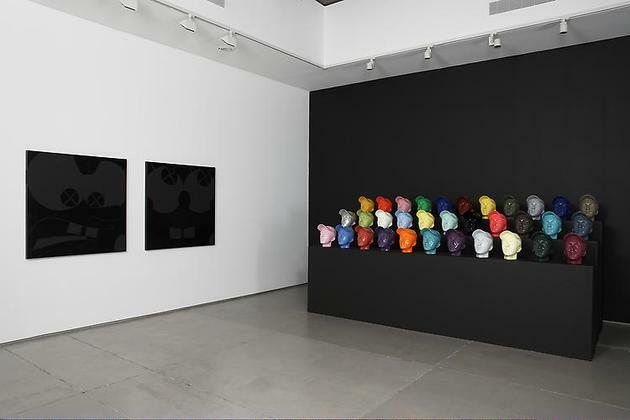 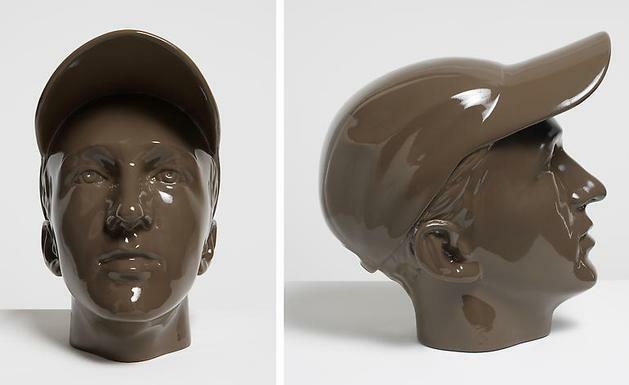 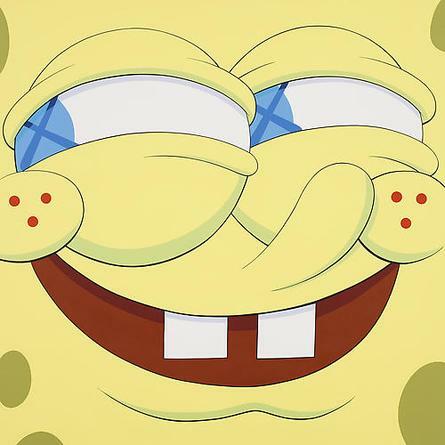 Additionally, KAWS has produced a series of thirty-three uniquely painted life-size bronze sculptures of his own severed head. 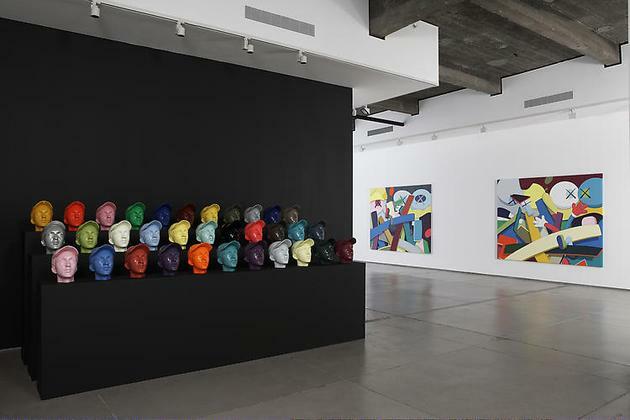 With this series, KAWS reinvents the age-old tradition of bronze casting by finishing the sculptures with playful candy coated colors. 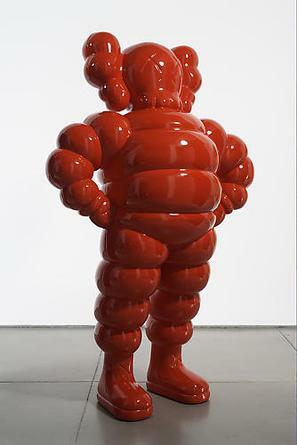 A sculpture entitled Chum stands as a larger-than-life rendition of a classic KAWS character. 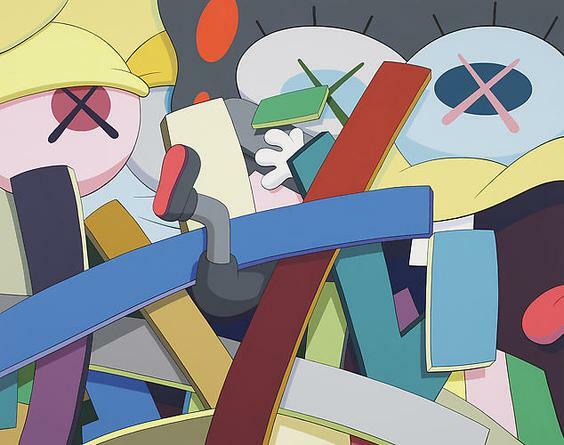 Throughout his career, KAWS has explored different approaches to his artistic agenda. 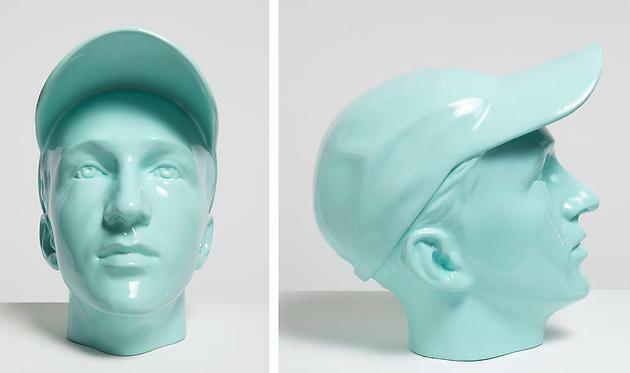 In 2006, he opened his own shop in Tokyo, OriginalFake, where new products release weekly in limited quantities. 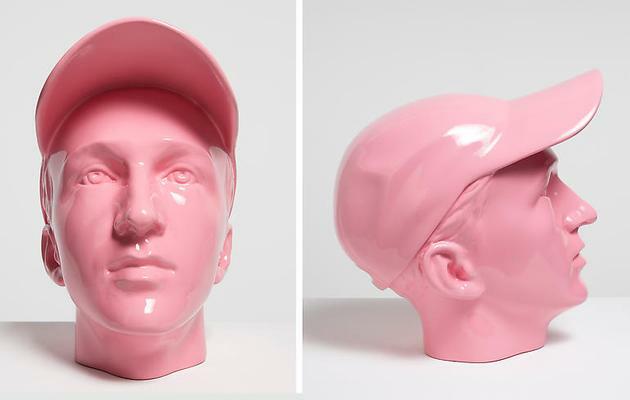 He has completed several collaborative design projects with such labels as Commes des Garçons, Marc Jacobs, Levi's, Nike, and A Bathing Ape. 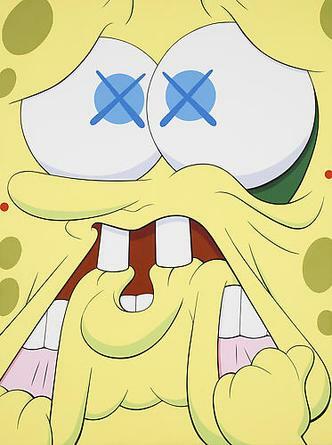 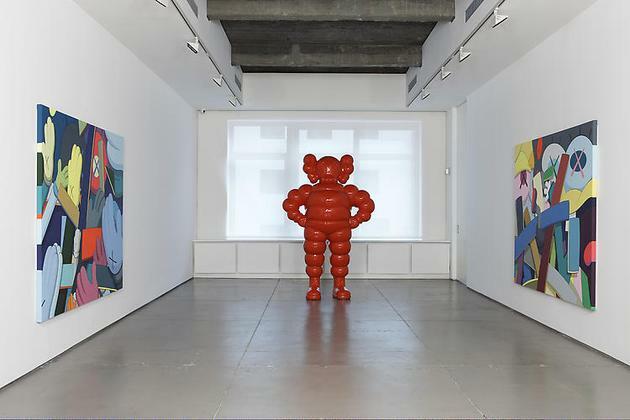 Through each of these ventures, KAWS has successfully blurred the line between fine art and mass-produced merchandise thus allowing his artistic vision to touch a far-reaching audience. 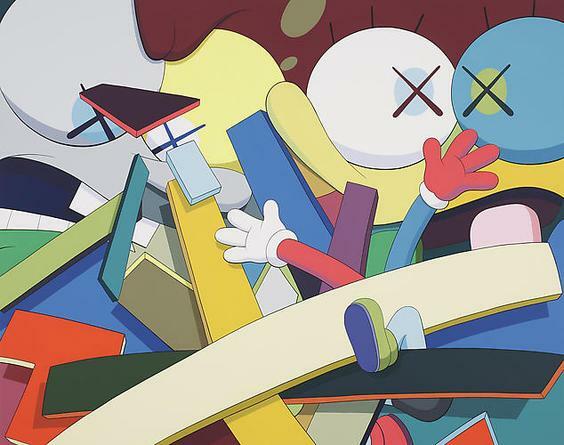 Born in 1974 in New Jersey, KAWS graduated with a BFA from the School of Visual Arts in New York. 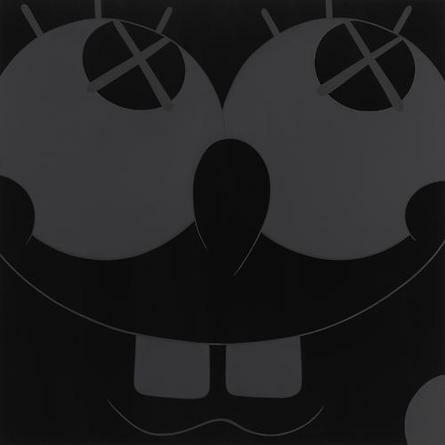 He has had international solo exhibitions at several galleries including Galerie Emmanuel Perrotin, Miami, FL; Bape Gallery, Tokyo, Japan; Colette, Paris, France; and the MU Art Foundation, Eindhoven, Netherlands. 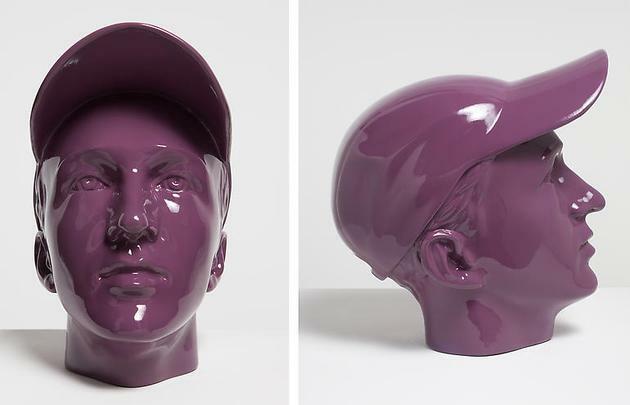 His work has also appeared in many group exhibitions such as Everything Else at Franklin Parrasch Gallery, New York, NY; Ugly Winners at Galerie Du Juor Agnes B., Paris, France; and Beautiful Losers, a traveling exhibition that has been on view at Le Tri Postal, Lille, France; Palazzo Dell'Arte, Milan, Italy; the Orange County Museum of Art, Newport Beach, CA; and the Contemporary Arts Center, Cincinnati, OH, among others. 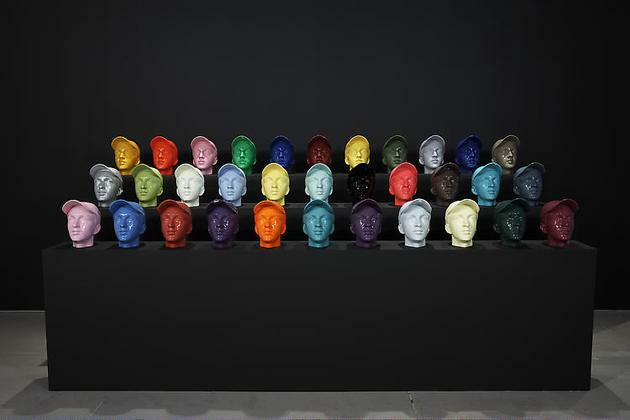 He was the winner of the 1998 Pernod Liquid Art Award and three monographs have been published about his work.